and before you know it, it’s time for another In My Kitchen post. The wonderfully generous Celia kindly hosts this every month. Click here to have a look at other kitchens on Fig Jam and Lime Cordial. The chooks are back on the lay. Young chef Daisy likes to collect the eggs, but is a little worried that she doesn’t know how to write the numbers on them! JA and Bren collected these quaint quinces from their tree in Bacchus Marsh. Cotogna in Italian, Coing in French- quince is an ancient fruit that has regained favour in Australia. Will I make Membrillo paste or a heavenly Stephanie Alexander tart? The chillis in the garden are finally turning red. On one side I have a few dried ones, ready to make Celia’s chilli oil which you can find here. My favourite bread book, The Italian Baker, by Carol Field, is never far from the kitchen bench. We now use the recipe from this ‘bible’ to make Pizza and Ciabatta. We have pizzas once a week, and Mr Tranquillo enjoys whipping up a batch of dough. Some found objects from second-hand stores are often floating around the kitchen. I couldn’t resist this silver plated bowl for $7.99. Delicious assortment of good things in your kitchen Francesca. The quinces are so good this year, no? The Greek family, from whom we used to live across the street in Darwin, served sweetened quinces with coffee. She would quarter or 1/8th them and boil in water, drain water, add sugar syrup that had been boiled with cinnamon and perhaps clove, I can’t quite remember.. it was the most heavenly little sweet thing to have with Greek coffee. 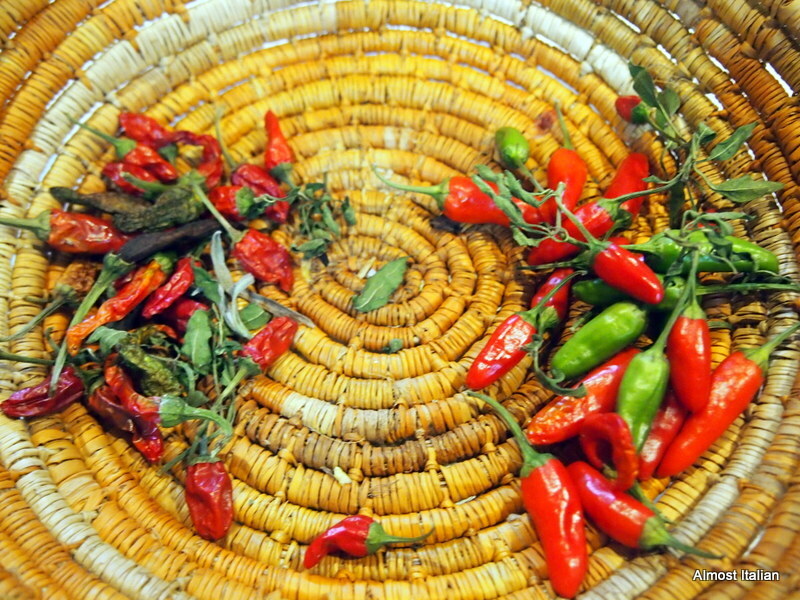 I have about a cup of chilies that needed harvesting, what a good idea to make them into chill oil. Thank you! oh here is the typo!!! I thought it was in my post. Hahha. Yes, Celia’s post on her dried chilli is very good. Is there a typo? I haven’t picked it up. Quinces have had a starring role in my kitchen too. I made quince curd the other day. Wouldn’t bother again, the flavour got a bit lost though the texture was lovely. I really like The Italian Baker too. It’s a brilliant book! Good to know. Hate the idea of lovely quince flavour being diluted. I feel the same about quince custard, featured in the Cook’s Companion. Maybe we should get Leah to stick the Italian baker on her list. Oh yes, You’ll hear about it. Stephanie’s version is divine. I may need to poach these babies and stash them for a while as my gypsy life is calling me! Please join in. It is a great way to connect with others and it really is such a pleasure to photograph a few things in the kitchen. Get the Italian Baker- it’s a gem. Yes, me too. I can’t resist old things with a bit of patina and history. Quinces; i love them. I usually made jam. Hello Francesca, is there anything more delicious than quinces? 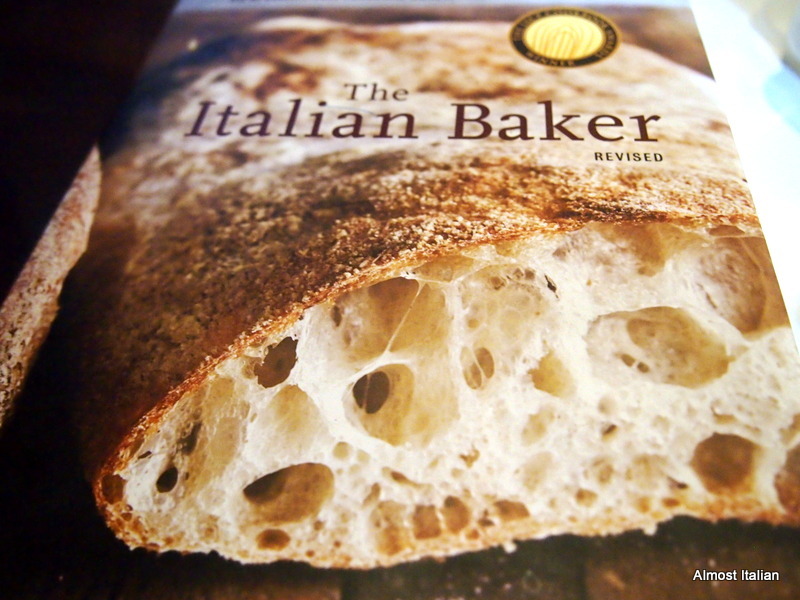 I have so many bread books…but not The Italian Baker. It looks great. In fact, after looking at your photo I feel like baking bread, again! Lovely tour, happy cooking to you. You are such a great baker- perhaps you need a copy? I really like the eggs and the egg basket. The Italian Baker is a favourite of mine too. Now if I could get John to make pizza dough I’d be in heaven. Ah, My trick is to leave the page open, and promise pizza once the dough is made. thrifting- such a good word. Hi Rach, I don’t think the book deals with sourdough but it does explore all Italian breads from region to region and has great advice on the ‘biga’, the Italian starter. The recipe for ciabatta is excellent. If you want advice on all things sourdough, check out Celia’s blog- fig jam and lime cordial. Pizza dough making is such fun for kids. Think I would love your bread book and how lovely to have your own “home grown” eggs. Sadly our second hand stores are very expensive. Not sure why though. Hi Mandy, where are you located? Hard to imagine that second hand things are expensive. 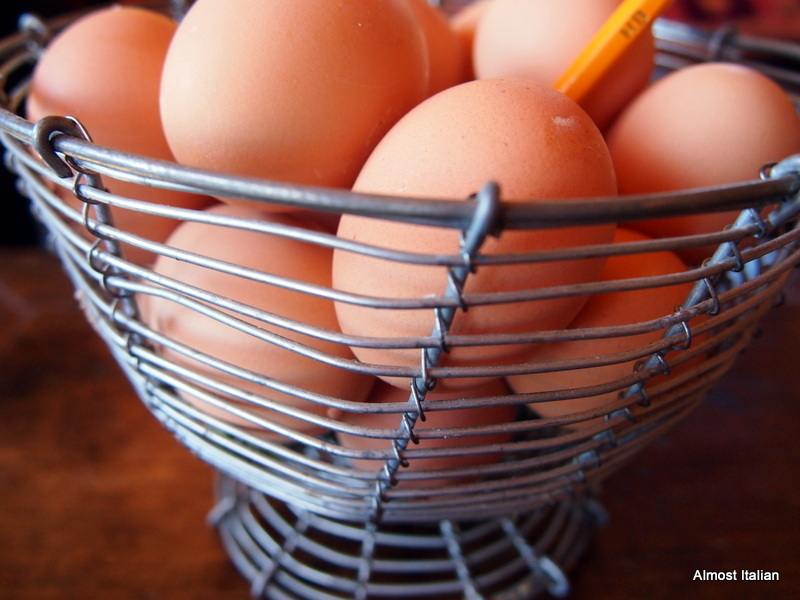 The eggs look beautiful and I couldn’t go past the basket of chillies! thanks- its crazy how the chillies get going really late in the season and hang on until winter. Yes, and finding my books delivered to my post office at half the retail price all the way from England ( the book depository) is such a joy. G’day! I can almost smell your pizza from here! YUM! 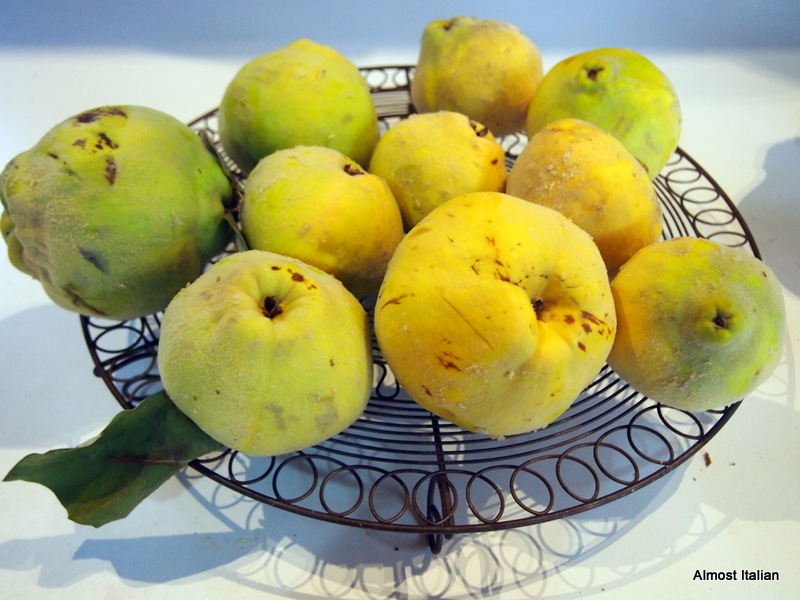 I have never made anything with quinces….you have my curiosity today! Thanks for this month’s kitchen view too Francesca! I love your eggs. I really want some chickens but I can’t have them until I decide where I want to live. Oh well, you can’t have everything. Maybe you can give Daisy some stickers to put on the eggs. Isn’t Celia wonderful to host this idea. I love having a sneak peek into others’ kitchens, and yours is delightful. 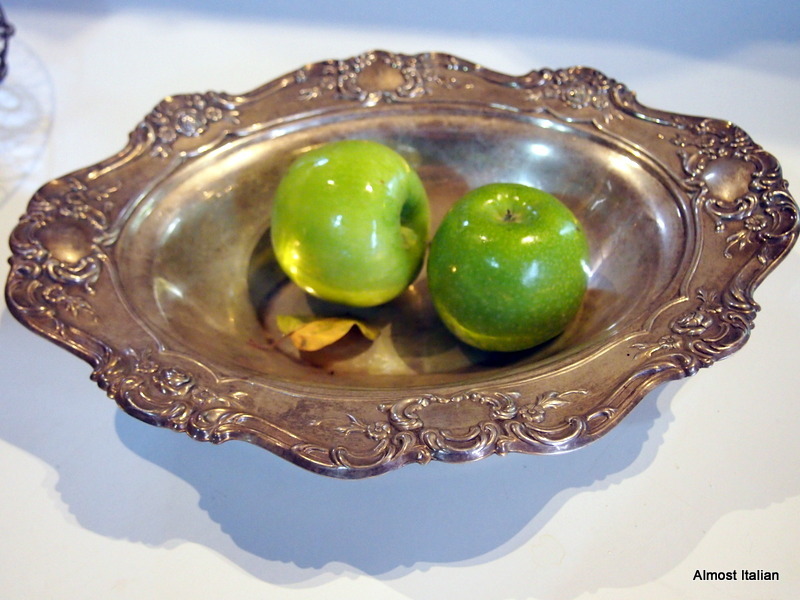 I am in love with your silver bowl, and what a bargain! I love quinces because they are so seasonal. I usually just stew them and have them with our breakfast fruit. My vote is for membrillo. I love it. Though I’m also partial to the poached quinces that Nigella makes, based on Stephanie’s recipe. How lucky that they grow near you. No such luck up here in Brissie. Thanks for the tour! What a fabulous assortment! I’m looking forward to what you decide on for the quinces. Francesa, apologies for coming around so late to your May IMK post… crazy month! 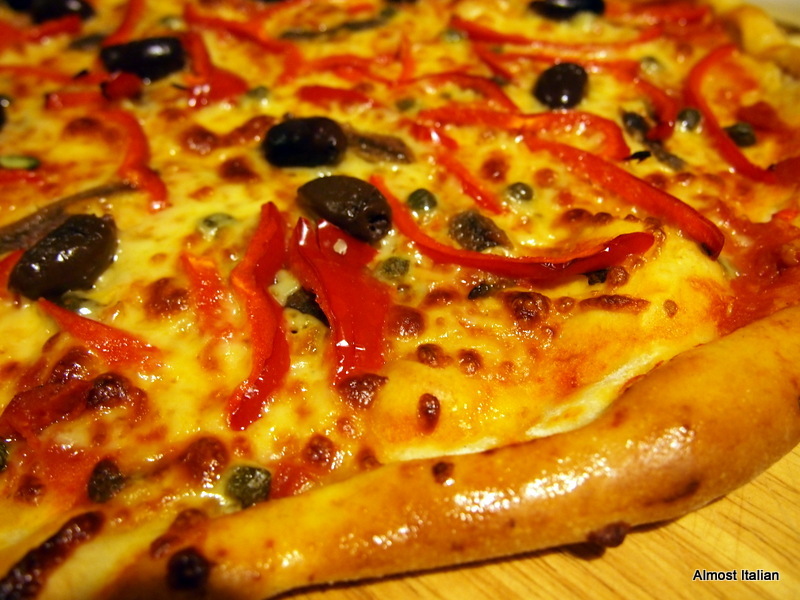 Loved your photos and thoughts on the chook eggs, qunices, peppers, and PIZZA! What I wouldn’t give for a slice of that now… 😉 I’m also admiring your silver bowl — aren’t second-hand stores the best?! Next Next post: New Zealand Road Trip. Top 5 reasons to travel in May.